Is It Time For Ford To Bring Back The Crown Vic? This design certainly paints a pretty picture. The story of the is one of a vehicle that refused to die. 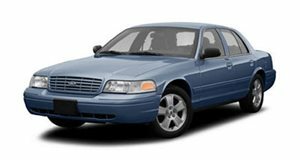 By the time it was withdrawn from the consumer market in 2008 (and ultimately discontinued in 2012), the second-gen Crown Vic (initially introduced in 1998) was on the market for over a decade. Now a good two decades later, we're looking at this independent design for a new one, and can't help but wonder if Dearborn ought to bring it back. The design was undertaken by one , who completed it a few years ago as part of his college studies. Rather than simply updating the old one for a new era, though, Adivi's concept (shared via Behance) takes on an altogether different and more tempting form of a muscular performance sedan. It looks long, low, and mean, with a chopped-down greenhouse and powerfully styled haunches that might look at home on the supercar. Only this one has four doors. It's closer in concept (if not execution) to a four-door coupe like, say, the or than it is to the old Crown Vic that was favored so long by taxi fleets and police motor pools. Only it looks decidedly more American than those European exotics, yet more exotic than the more conventionally shaped (which remains the last rear-drive V8 muscle sedan offered by Detroit). So is it an idea whose time has come? Unfortunately not. 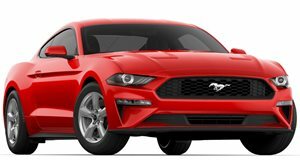 Like so many of its rivals, Ford these days is focusing more on taller vehicles – crossovers, sport-utes, and pickup trucks – to the near-total (in the US market at least). And as tempting as this concept may look, we have to admit its chances look about as slim at present as its roofline.